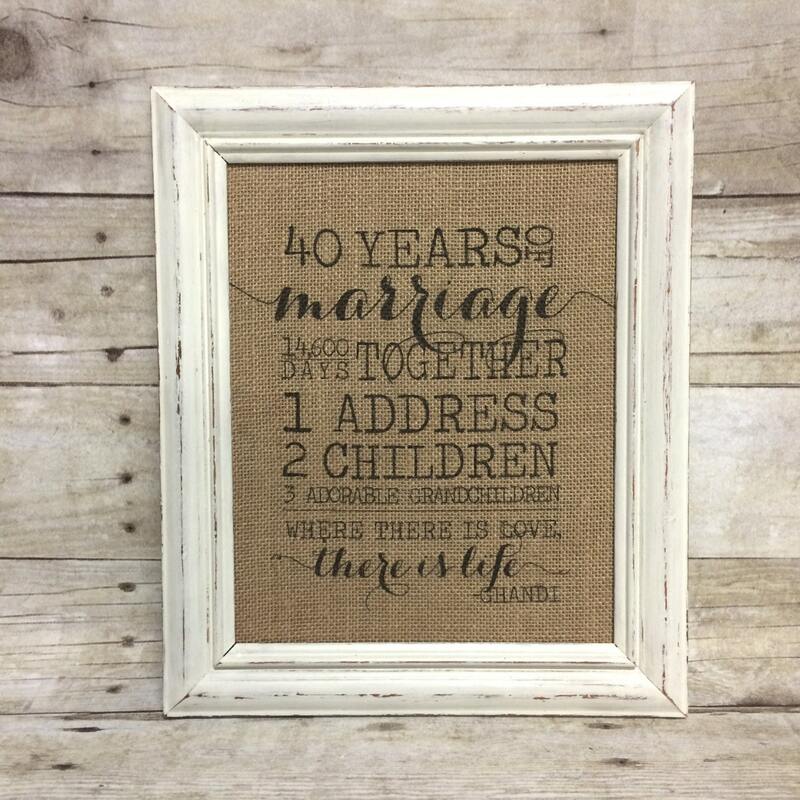 Custom 8x10 burlap art print features couple's years of marriage, days together, and other important family information. 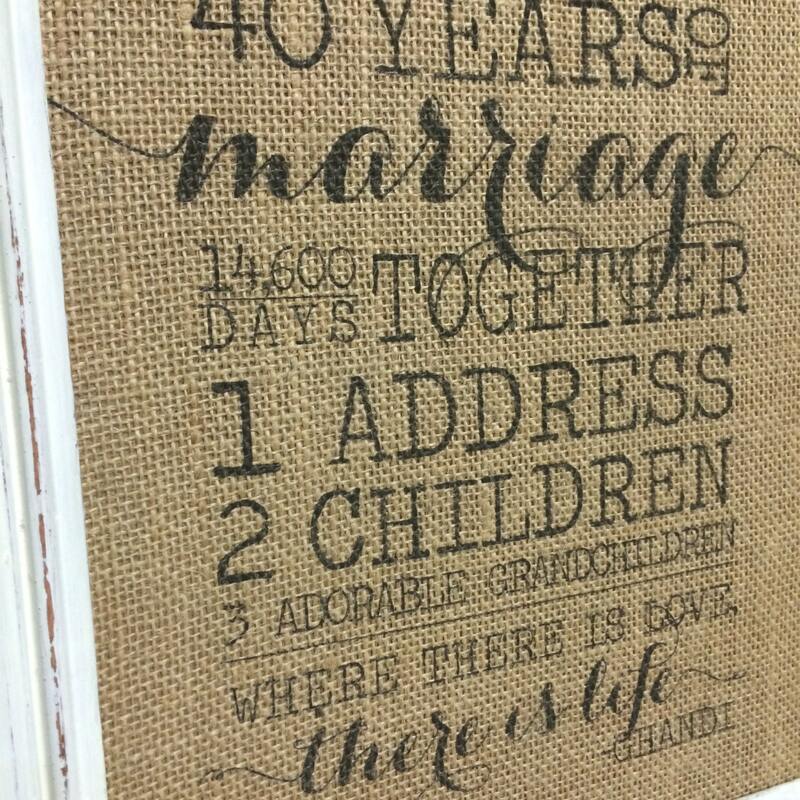 Perfect for milestone anniversaries! Please specify the special details you'd like included in the "notes to seller" box at checkout. Item is nice, very overpriced for what you actually get.